The Port Jefferson School community was out in full force at the Out of the Darkness walk, held recently at Jones Beach. 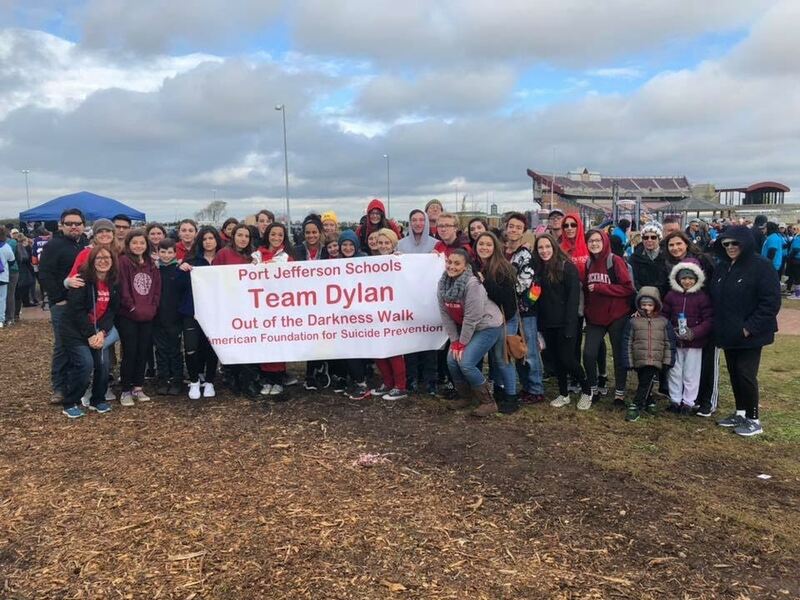 Dozens of students and staff members walked as part of Team Dylan, which honors the memory of Port Jefferson student Dylan Berger. Collectively, the school community raised $2,490 through the school’s Gay Straight Alliance, the International Club and a staff dress-down day. The funds will directly benefit the American Foundation for Suicide Prevention. Photo caption: Port Jefferson School District walked as part of Team Dyan at the Out of the Darkness walk.